Marsha Bryan Edelman, conductor of Shirah, earned degrees in general music, Jewish music and Jewish studies from Columbia University and the Jewish Theological Seminary, and has taught Jewish music to students of all ages for more than 40 years. In addition, she has been affiliated with the Zamir Choral Foundation in various musical and managerial capacities since 1971, and currently serves as Administrator of the Foundation. Dr. Edelman has been named Professor Emerita of Music and Education by Gratz College, where she served on the faculty for some 25 years, and currently teaches as an adjunct faculty member at the Jewish Theological Seminary’s H.L. Miller Cantorial School. She is also a much sought-after speaker on a wide range of topics relating to the nature and history of Jewish music, and has been acclaimed for both the breadth of her knowledge and for the popular appeal of her presentations to audiences across the United States and in Israel. 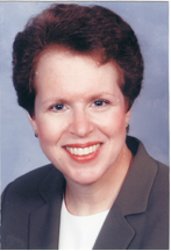 Beyond her teaching and administrative work, Dr. Edelman has had an active career as a musician. She has produced and arranged the vocal and instrumental scores for several recordings, as well as several selections for HaZamir: The International Jewish High School Choir and other choral ensembles; her arrangement of Josh Nelson’s L’Dor VaDor is available through Transcontinental Music Publications. Dr. Edelman is also the author of numerous articles on Jewish music for a wide range of national and international publications, as well as program notes attendant to concert and recorded performances of Jewish music. Her book, Discovering Jewish Music, was published by the Jewish Publication Society in June, 2003. Matthew Lazar, founding director of SHIRAH, is the catalyst and leading force of the Jewish choral movement in North America today. He is the Founder and Director of the Zamir Choral Festival, HaZamir: The International Jewish High School Choir and the National Jewish Chorale. He has directed the Zamir Chorale since 1972. Mr. Lazar has prepared choruses for Maestros Leonard Bernstein, Zubin Mehta, and Daniel Barenboim. He has been praised by the New York Times along with his “expert ensemble” for performances of the music of Salamone Rossi, and by the Chicago Tribune as an “expert director” for a program presented by the Chicago Symphony Orchestra. 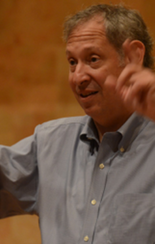 Mr. Lazar has appeared as guest conductor of the American Symphony Orchestra, the El Paso Symphony Orchestra, the Milwaukee Chamber Symphony, and the Ra’anana Symphony Orchestra. He regularly conducts programs at Carnegie Hall, Lincoln Center, and in other major concert halls throughout the United States and Israel and regularly appears with the great cantors of this generation; he recently conducted members of the New York Philharmonic in accompanying Cantor Yitzchak Meir Helfgot’s performances at Lincoln Center. Mr. Lazar has served on the faculties of Columbia University and the Jewish Theological Seminary, and is a frequent lecturer and scholar-in-residence across the United States. His recordings include The Birthday of the World I and II, A taste of Eternity I and II, Chants Mystiques Encore. Mr. Lazar’s most recent recording, Songs for Jerusalem, features a special narration by Elie Wiesel. Glenn is an accomplished composer, pianist and music director, having worked in the industry for over twenty-five years. From 2001-2004, he was the music director for the Off-Broadway hit "Forbidden Broadway." In 1994, was the musical director for the Off-Broadway show "Hysterical Blindness." Glenn has also been the pianist and/or music director for numerous other shows including "Guys and Dolls", "A Chorus Line", "Gypsy", "The King and I", "Sweeney Todd", "My Fair Lady", "I Love You, You’re Perfect , Now Change", and "Starting Here, Starting Now". During the last two summers, Glenn served as Associate Music Director for productions of "42nd Street" (2013) and "Cats" (2014) at Bergen Performing Arts Center (BPAC). Since 2004, Glenn has served as the Director of Music at the Church of the Ascension in New Milford, New Jersey. At Ascension, he plays organ and piano, sings, conducts the instrumental ensemble, and directs three choirs. Glenn is also a vocal coach with Amelia DeMayo’s voice teaching team and is on staff at the BergenPAC Performing Arts School. Glenn also has a teaching studio for piano lessons. As a composer, Glenn’s recent work includes the scores to two Children’s Musicals with lyrics by Amelia DeMayo and book by Deborah Roberts. Both musicals have been performed at the Eric Brown Theatre and the Bergen PAC: "It’s Me, The Superhero" in 2009 and 2010 and "Aaron’s Party Under the Sea" in 2011. His piano piece "Reminiscing by the Sea" made its premiere at Carnegie Hall's Weill Recital Hall with concert pianist Lloyd Arriola on November 3, 2013. Glenn received his Bachelor of Music degree from Berklee College of Music (1984) and continued his musical studies at Manhattan School of Music (1990). Since 1990, Glenn has been an alumni of the BMI Musical Theatre Workshop.